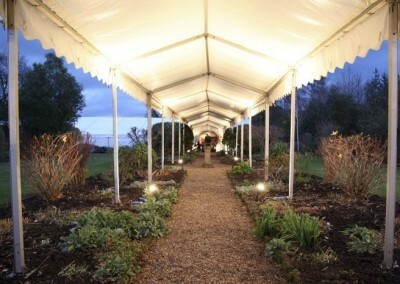 To make your party a little more special, it is a fantastic idea to add a walkway or awning. 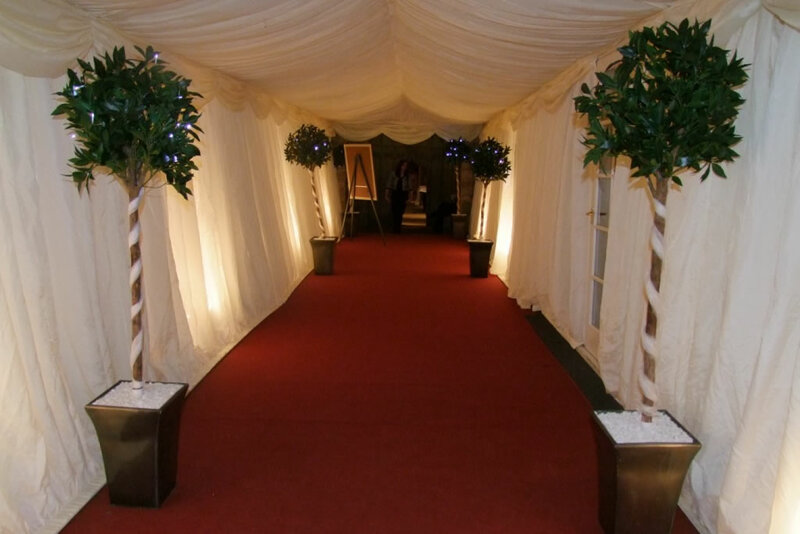 We can erect them easily with minimal fuss and it really helps to maximise the space you already have and create a grand entrance for your guests. 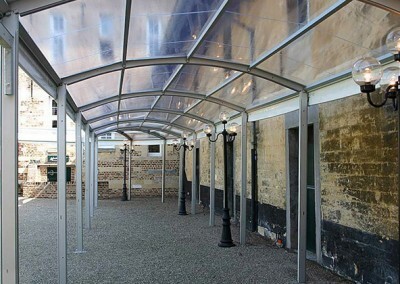 An awning is a marquee without sides. They are perfect for creating additional room to comfortably accommodate all your guests. 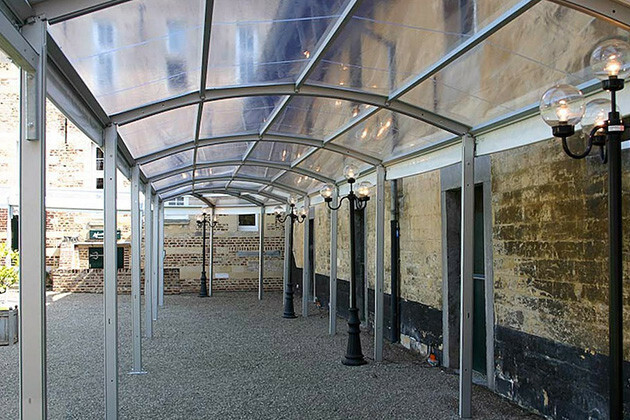 They are incredibly popular in the summer months to enjoy the sunny weather, whilst also being sheltered. 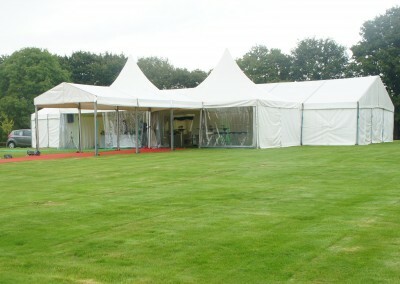 Awnings can be free standing or attached to a house or venue. 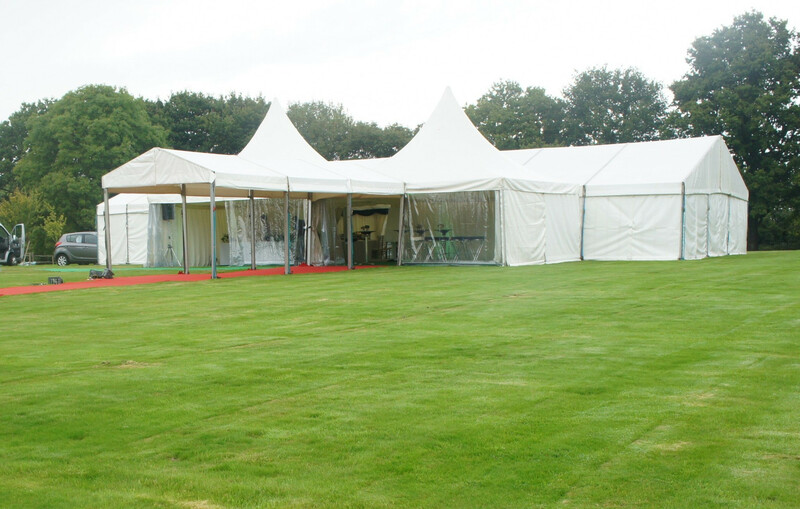 They are available in sizes from 10ft x 20ft to 40ft x 120ft. Why would I want a walkway? 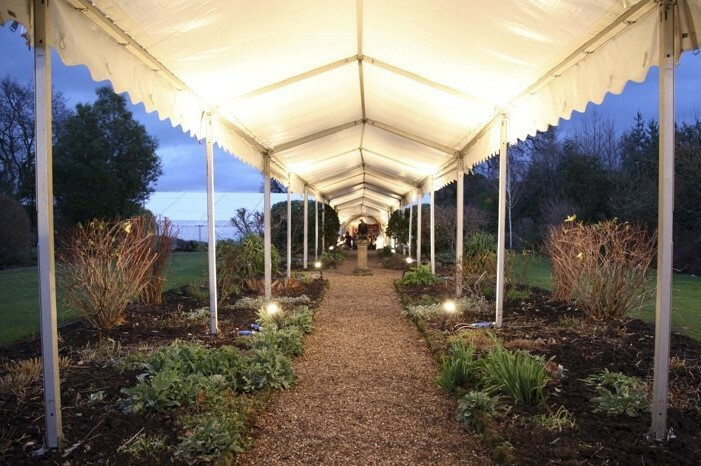 A walkway is an ideal way to join a building to an external marquee. They can be kept plain and minimalistic or decorated with various linings and carpets to create an atmospheric entrance. These may be useful when there’s a risk of bad weather, as guests can avoid the outdoors. 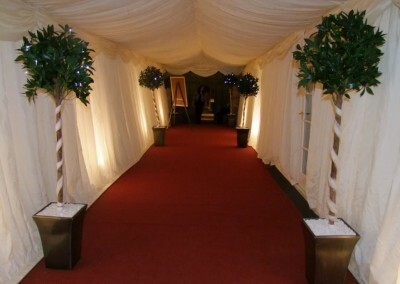 Walkways are available in sizes from 10ft wide x 10-100ft long.